Here’s an interesting paper on the role of obesity in insulin resistance (J Clin Invest. 2000;106(4):473-481. Obesity and insulin resistance. Barbara B. Kahn, Jeffrey S. Flier.) Here’s one of the interesting figures from that paper which shows storage and mobilization (freeing) of fat from fat cells (adipocytes). In this graphic, fat gets stored from glucose or fat in the diet. Fat in the diet gets shuttled through the liver. Insulin is the key element in the storage and mobilization of fat. That’s the core to the idea that leaning out the liver will reverse diabetes. At the base of any strategy is lowering Insulin levels. Insulin resistance is an underlying key pathophysiologic process in the development of cardio-metabolic disorders among obese individuals. 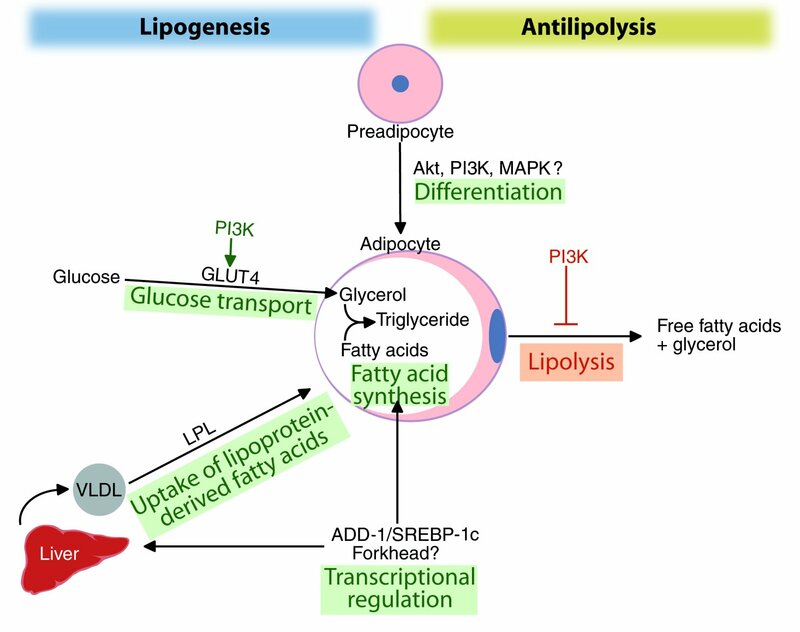 Insulin resistance leads to development of an atherogenic dyslipidemic profile, and prothrombotic and proinflammatory states.